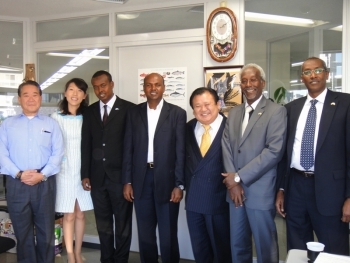 The cooperation between Japan and Djibouti, is excellent. It allowed through concrete projects resolutely turned towards improving the living conditions of the population of reach important milestones in terms of achievements. Development assistance is experiencing unprecedented growth. 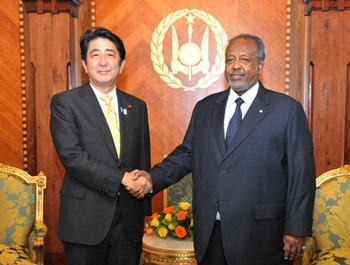 Between 2008 and 2013, Djibouti has received several donations estimated at about 93.5 million US from the Japanese government dollars. This partnership also addresses strategic areas related to collective security, regional cooperation, conflict resolution, good governance, the fight against terrorism, the promotion of human rights and cooperation social material. It also extends in areas such as energy cooperation, research and executive education and the environment and sustainable development. 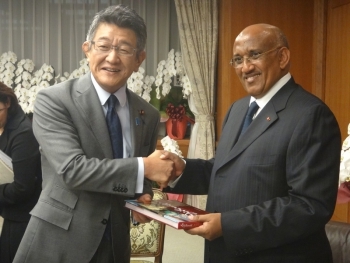 In this perspective, the strengthening of bilateral relations aims to support the endogenous dynamics facing our country and accelerate the movement of the Djibouti-Japan partnership.